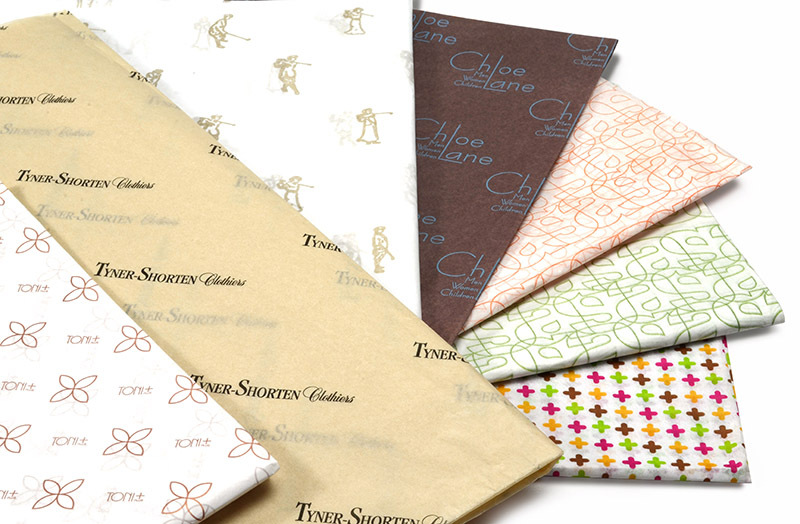 Add the finishing touch to your package with custom printed tissue paper – place it in a bag, box or wrap up your product in it to create a lasting impression. 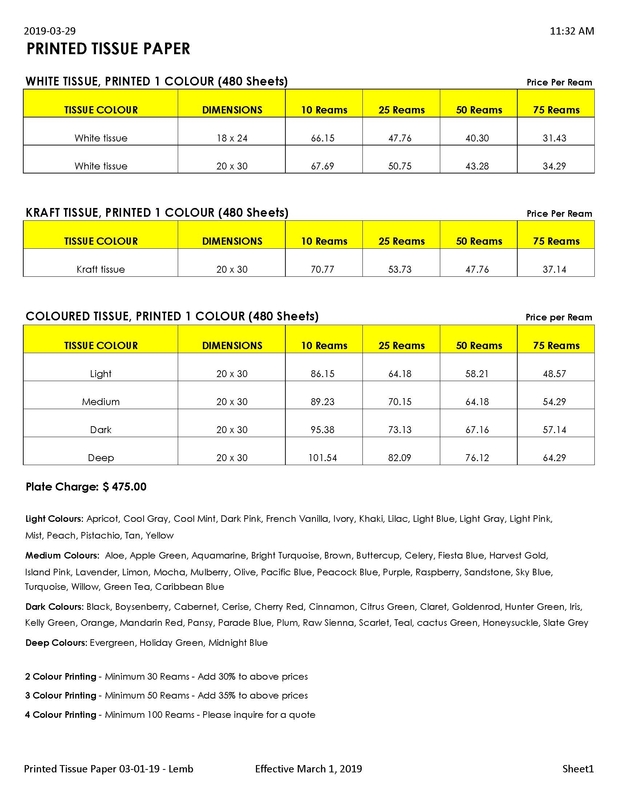 Need only a small quantity of custom printed tissue for a special promotion or event? We can do it as little as 500 sheets!